It’s true! St. Marys, Georgia is idyllic. 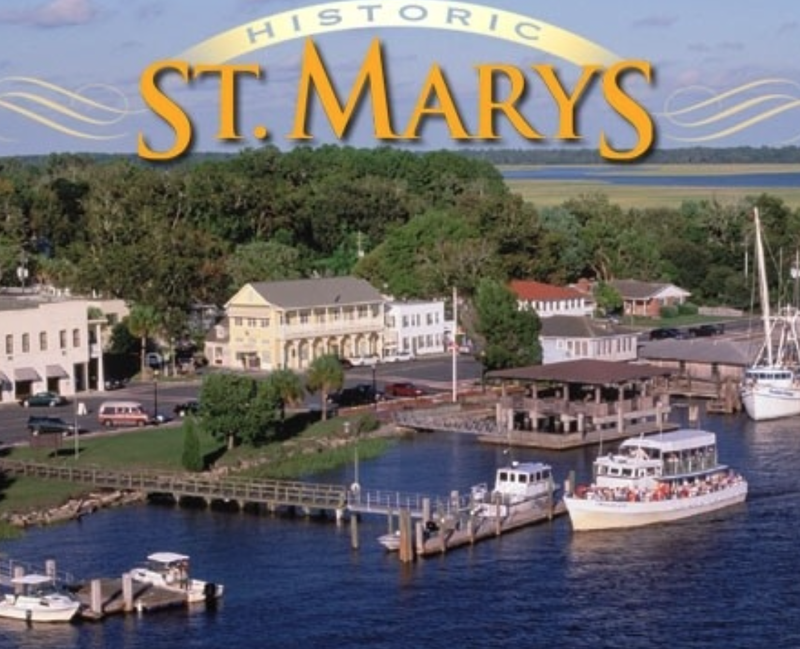 Only a 40-minute drive north of Jacksonville, Florida . . .
. . . historic St. Marys has a storybook setting on the St. Marys River – white picket fences, charming Victorian inns, and majestic magnolia trees and live oaks welcome you to an atmosphere perfumed by fragrant salt air. Here you’ll discover legends of forgotten battles and daring pirates as you kayak by moonlight with sea turtles for company. 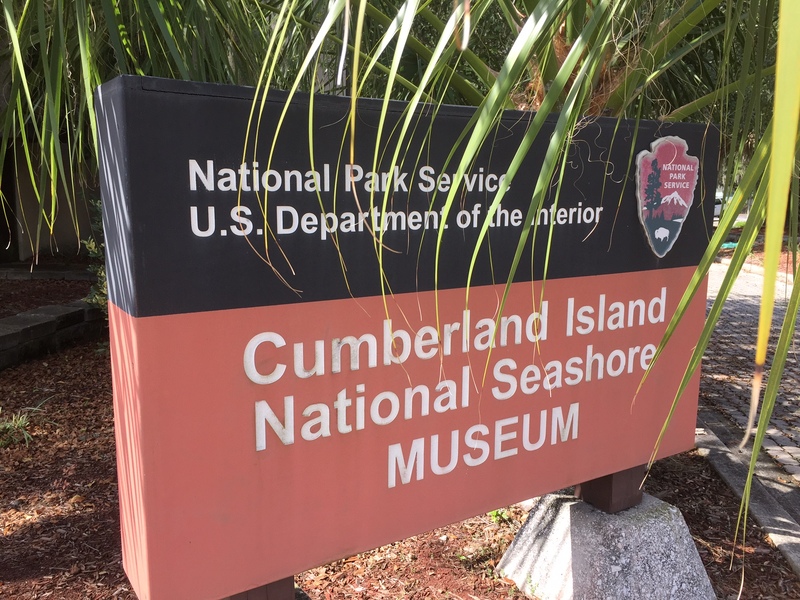 Treasures in the historic district include the Georgia Radio Museum and Hall of Fame, and the Cumberland Island Seashore Museum the gateway to ferry departure point for the Cumberland Island adventure, the southern-most barrier island in Georgia. St. Marys Submarine Museum, showcases the Kings Bay Naval Submarine Base located about three miles north of St. Marys, a town of just over 17,000 people. Near where we had lunch at Cedar Oak Cafe was an old Victorian house nestled among trees draped with Spanish moss, typical of the historic residences. 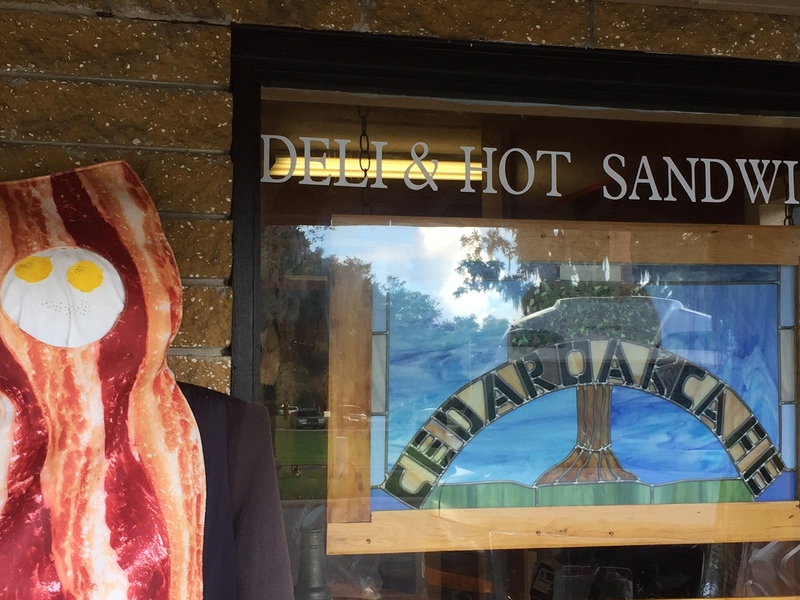 Lunch at Cedar Oak Cafe on Osbourne Street where even the bacon attempts to hold a shape . . . 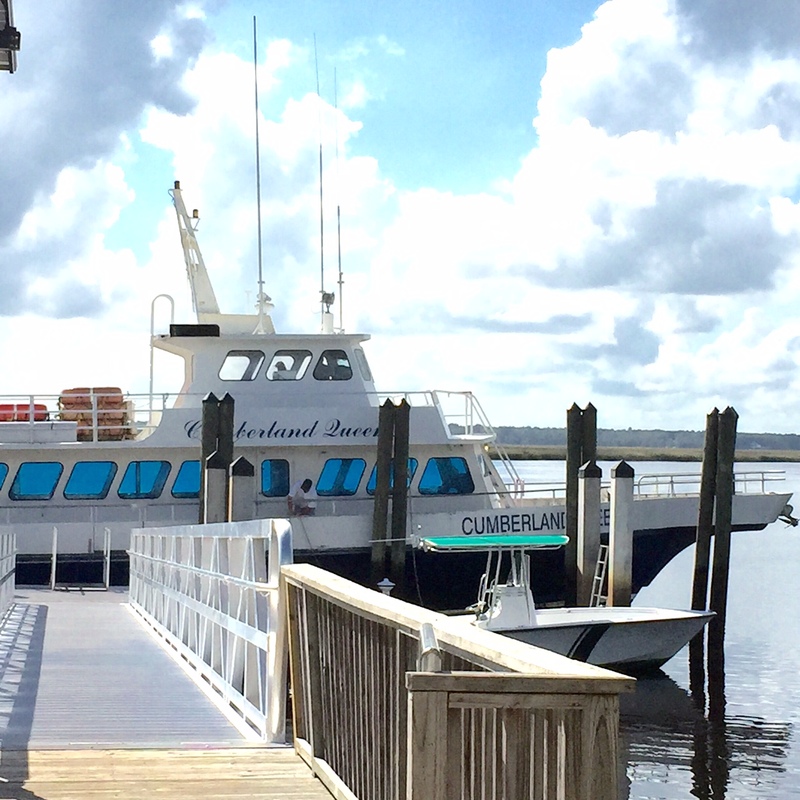 The Cumberland Island Seashore Museum leads down to the St. Marys River harbor where travelers can board the Cumberland Queen for a unique day-trip adventure to the Island. We are bound for Jekyll Island farther up the coast near Brunswick . . .
. . . but first, time out for cherry licorice, a dab of chocolate candy and a look at some show-stopping sayings at Market on the Square Shop at the end of Osbourne Street. An anatomical figure of speech, to be sure . . .
And finally some refinement . . . Along the street . . .
Aha, he (or she) took the hint . . . 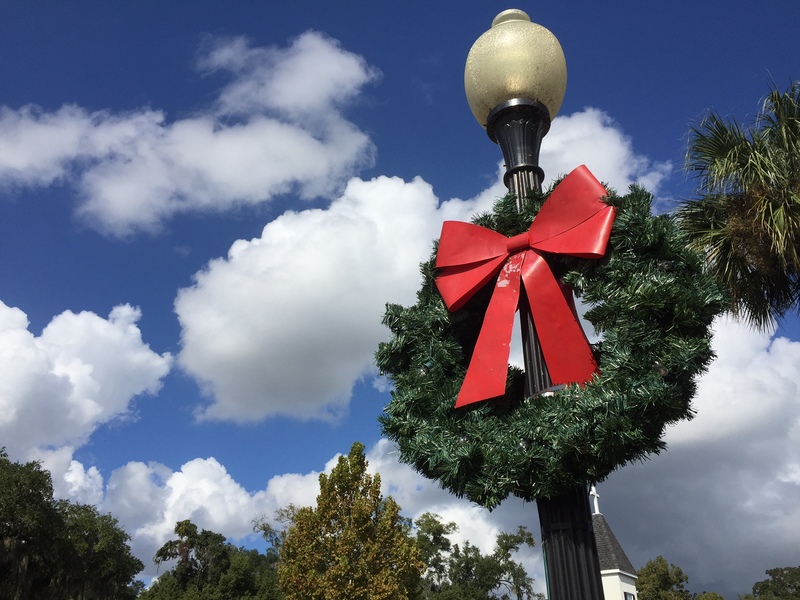 These photos including the one below were snapped on November 7, with Christmas about seven weeks away and temperatures in the mid-80s! Is it just my imagination or do holiday decorations surface earlier and earlier every year? 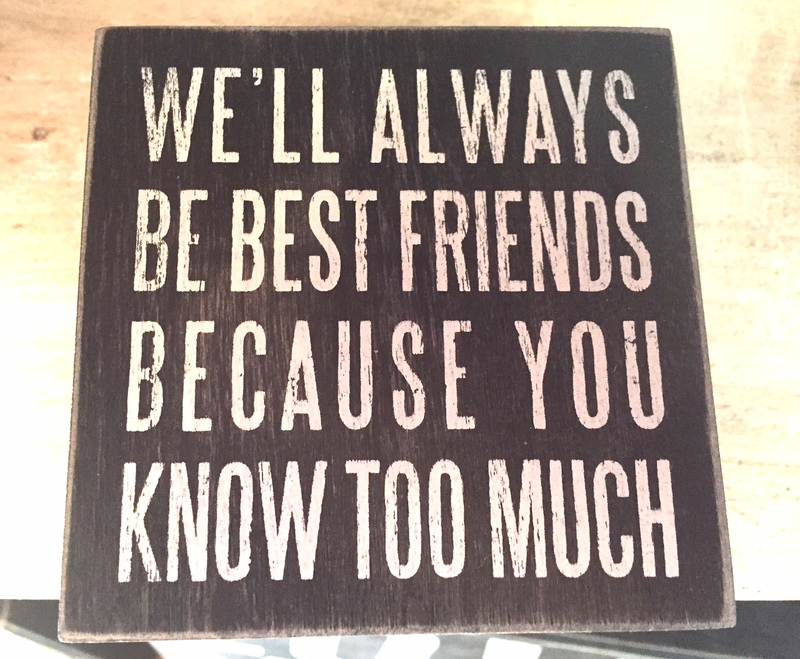 Another saying or quote to add to the signs above? Brilliant pictures Marian and I especially like the disabled parking one. It looks a beautiful place. Yes, it’s a lovely place. The hostess at one bed and breakfast hotel, a lovely Victorian mansion, said that writers often come and stay to get away from the hustle and bustle because St. Marys is quiet with few distractions. 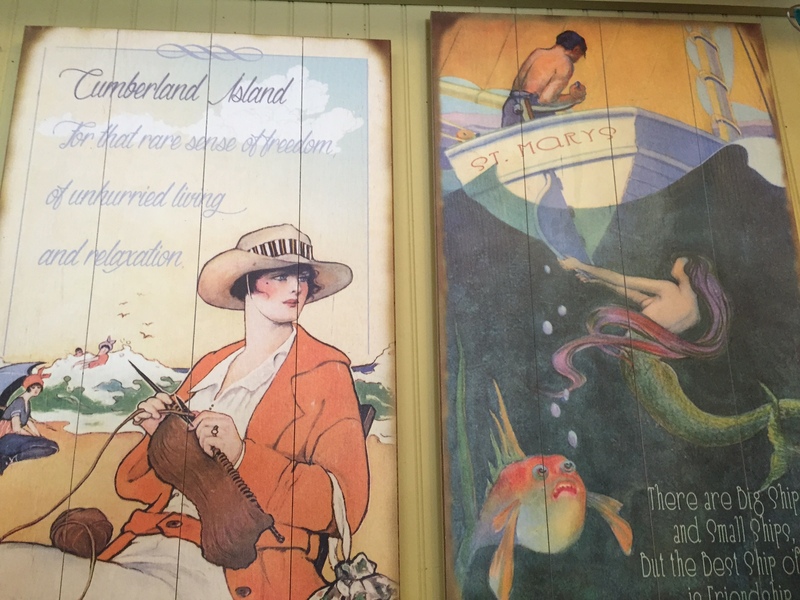 If you choose to cross the “pond,” Spencer House Inn awaits along with other delights. It would probably suit you just fine, David. Massive Hugs back to you! It looks like a beautiful town, and a fun trip! What a great collection of signs! The funny signs made me laugh, but I love the sign about making everything beautiful. She may have been talking about interior decorating, but I like the idea of it just being everything. Remember “She walks in beauty, like the night of cloudless climes and starry skies . . .” Sort of like that, I can imagine. Your writing always reflects the magnitude of such beauty. I’m glad you enjoyed a tour of the signs. This shop had ’em all! We both bought candy, and I bought some cards, so I didn’t feel (too) guilty taking shots of the plaques. Thanks, Marian. Did you just compare me to Byron? 😉 That shop sounds great–things to think AND candy! Marian — I loved the virtual tour of historic St. Marys that you’ve taken us on. Based on what you’ve shared, I’m pretty sure I would have liked being friends with Elsie De Wolfe. 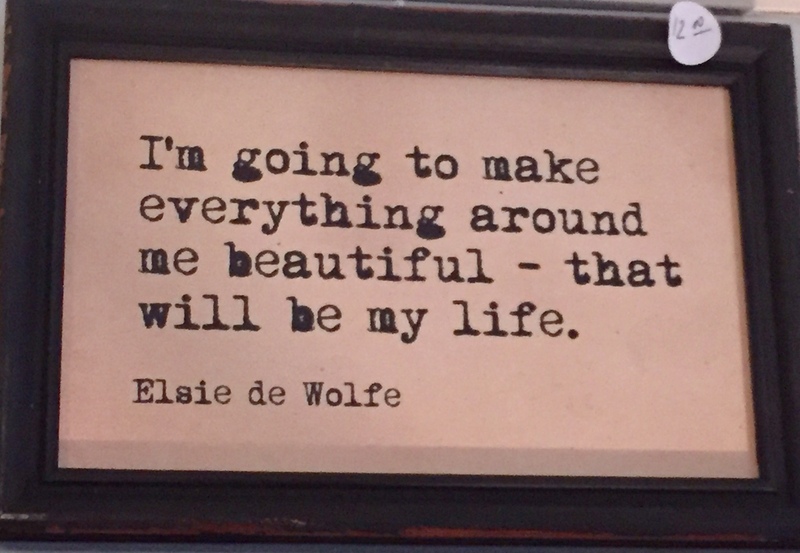 I enjoyed ALL of the signs, but “I’m going to make everything around me beautiful — that will be my life,” is my favorite! That sign sort of tucked away caught my eye, and since I had never heard of this woman before, I had to find out more. She had a mischievous, crafty side, which you could find more of in the article, but the fact that way back then she thought that interiors could be something other than brown and dark shows her creativity and vision. Yeah for Elsie! And you for sharing back, Anita. Thank you! Who would have thought of a woman tinting her hair in those days. I had a great Aunt who put a purple rinse on her gray hair…we always called her the witch. That great Aunt was obviously ahead of her time, waaaay ahead. I wonder if she had a personality to match, Susan. What a beautiful place. Your blessed that it’s close to you. I would love to one day visit for a weekend. 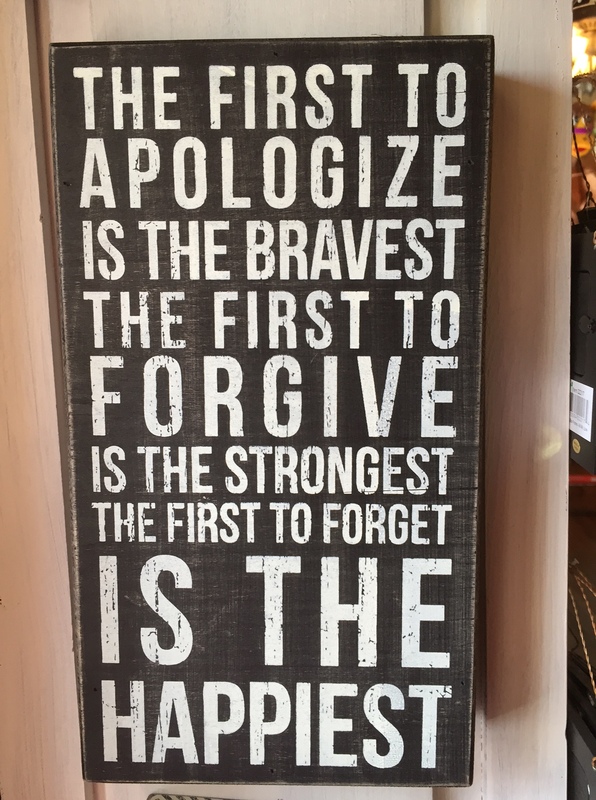 Love the signs especially the one on forgiveness. Also to make it my life to make everything beautiful. I would have loved to be this lady’s friend. I think we would have clicked. Thank you for this wonderful post. When our children both lived in the Chicago area, we got to visit many beautiful places too. I miss seeing the pretty leaves and snow. One winter we even “skated” around on a frozen pond. Yes, Elsie de Wolfe is quite a lady, and ahead of her time with decorating and design. Have a Happy Thanksgiving, Gloria! You’re right – I do remember our going around Janet’s house capturing her sayings, some of them sensational – ha! And I agree, Merchants pass lightly over Thanksgiving, my favorite holiday, right onto Christmas where they think is more lucrative. Have a Happy Thanksgiving with your family, Kathy! This looks like a charming place. I love the Victorian houses and those signs are perfect, especially the parking one! 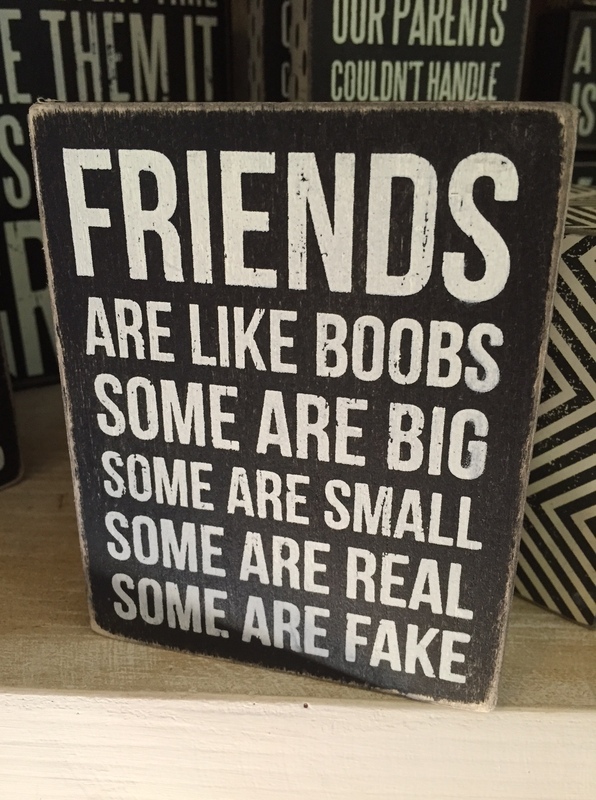 I wonder if France – or Spain – puts plaques with wise or witty sayings on display to sell. Hmmmmm! Ha – I think I’ve seen a variation on this, perhaps substituting “wine.” Thanks for adding to our conversation here, Darlene! Marian, this post gave me a happy mini-vacation. The beauty of the Cedar Oak Cafe started it off, and by the end of all those fabulous plaques I was laughLaughLaughing! 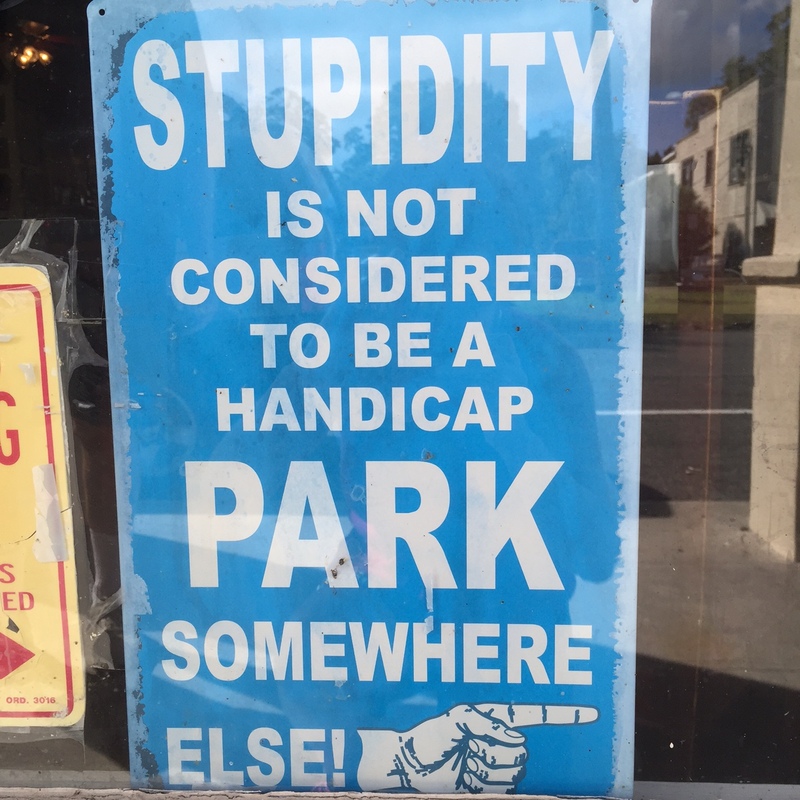 Especially the one about stupidity not being a reason for handicap parking. Brava! I always imagine my online friends as buddies on our trip travels. Although it’s a vicarious experience, we can talk here. Happy to have you along on this mini-trip, Marylin. You got that right, Fatima. The historic section is only about 4-5 blocks long on either side, so travelers get a warm and cozy sensation, along with a philosophy lesson, as you say. Maybe your travelers will take you here sometime, who knows! I went to States back in 1991 and visited Florida and New Orleans. It was a wonderful trip and I found American people to be very friendly and welcoming. I’d love to go back and visit other states, so I’m sure I will sometime in the future. Signs and wonderful sites. You could really be a shutter-bug here too, Fiona. Hi, Jenn. I hope readers will stop by your site too. They like quotes and good photos, just like you order up almost daily. Thanks for the compliment. Ooooh, I loved this! I want to visit there … I know I’d be smiling all the time. Ms. de Wolfe is one real lady .. thank you Marian for the brief escape into a place of beauty, charm and style. Isn’t that why we read . . . to escape, to think, and sometimes to enjoy charm! If your travels ever take you to this part of the world, you are welcome here, Susan. Looks like a wonderful place to spend a day. Aren’t the signs fun? My hubby always gets a kick out of reading signs like that when we encounter them somewhere like at a home show or a fun little shop. It’s nice to know men weigh in on this practice too – sometimes spotting goofiness, sometimes pure wisdom. Ha! St Mary’s looks like the sort of place I would like to visit thank you for the virtual tour …loved it . I would love Elsieb de Wolf at my next dinner party …what fun she would be . I am off looking for witty signs …let you know . Elsie would be the perfect dinner parties, witty and full of life . I would live to see some of you examples of signs about town. Cherry. I’m sure you would come up with some good ones, for sure! Thanks! Just let me know – ha! Just what I thought . . . ! What a lovely place and what some interesting and amusing signs you found. I’m with you on the Christmas decorations. I wish they would stay in the box until December. So it’s not just Americans that jump the gun on early Christmas decorating. Ah, I guess our only choice is to keep ours “in the box” and realize others get joy from rolling out the festivities we consider a bit premature. Enjoy the holidays whenever you choose to celebrate. I wonder if you have returned from Canada. 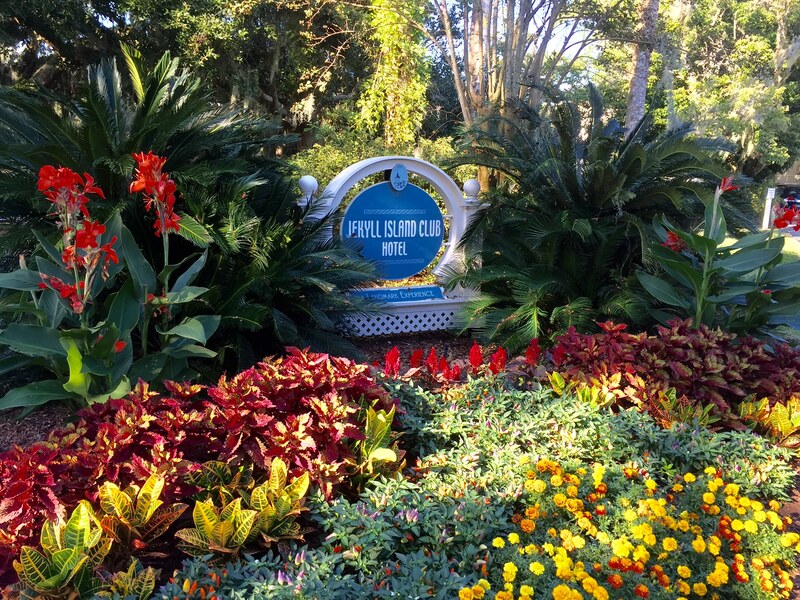 What a journey you have had – wow! I am back home now and surrounded by Christmas decorations (not my own I hasten to add). We went to town at the weekend and a giant Santa on a sleigh was flying from the Bargate into the precinct. Not quite “Angels We Have Heard on High,” is it. I’m glad you made it home safely. Now you can have what some Americans call a “Dickensian Christmas.” Ha! Thanks for the tour, especially the signs. 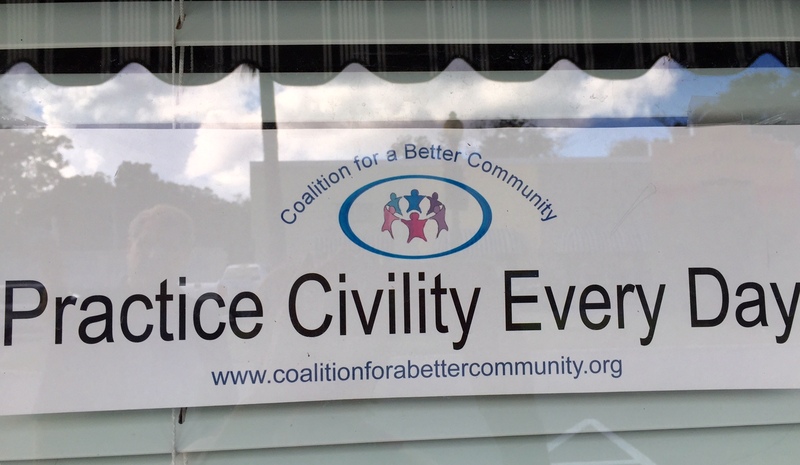 Maybe I need to start posting pithy sayings around MY hometown… If I do, you’ll have been the inspiration! I’d love that! Actually, I don’t know where you live exactly, so that would be a surprise too. Your posts recently about Sage are so sweet. He and my grand-boys would really entertain each other, that’s for sure. Peas in a pod . . . so to speak. Great photos, Marian. I loved the signs. Many smiles from them. 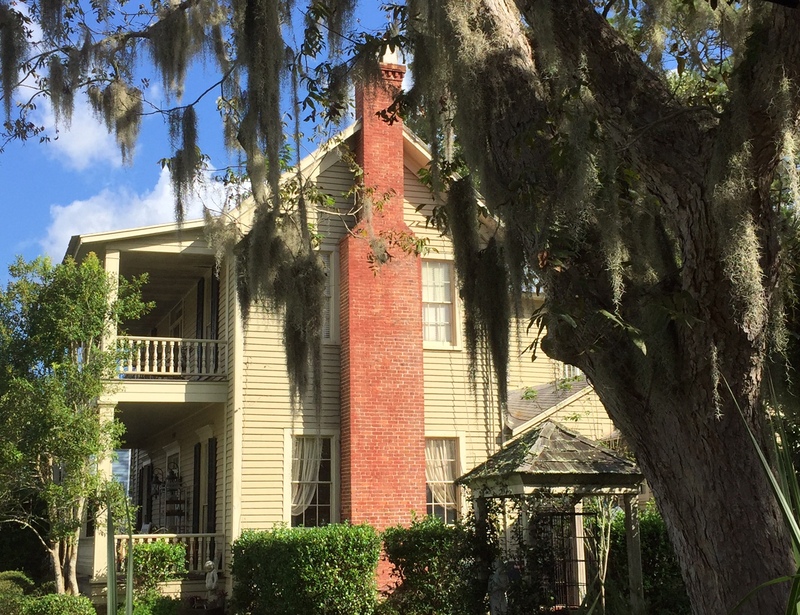 And the gorgeous Spanish moss and old homes. I’ve never heard of St. Marys, Georgia. All these hidden treasures wherever we live or travel. I went to Cuba and Georgia today. Thanks for taking me along. If it’s your imagination about Christmas decorations, it’s mine, too. When I was a kid, the tree went up on Christmas Eve and came down on New Year’s Day. I sound like a very old woman, don’t I? 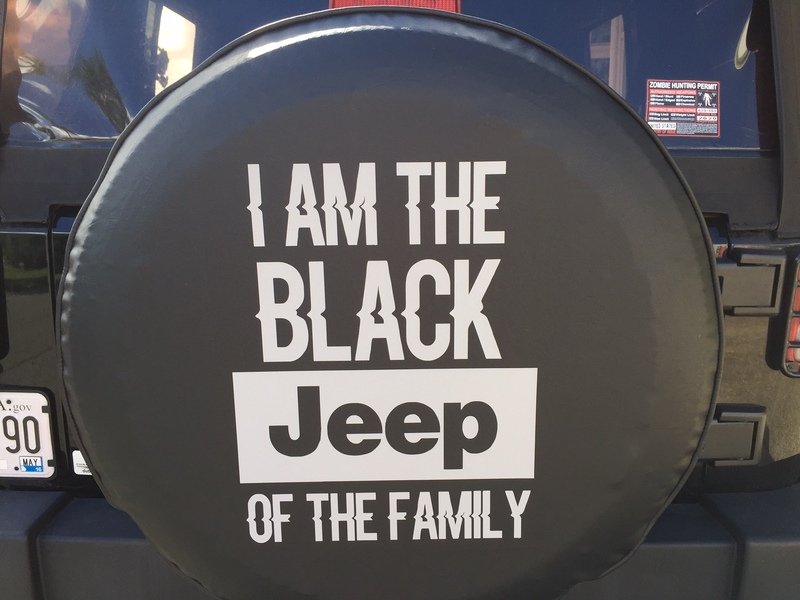 I am, but not compared to my mother-in-law. I love those last lines. Sometimes I think you don’t realize how much you tickle my funny bone even when you say things with a straight face. Yes, I remember when I thought women in their 70s were old, old, but now that I’m there myself the number sounds like late middle age. At least I delude myself into thinking so – ha!